In Marisa Silver's extraordinary new novel Little Nothing, an unattractive dwarf girl named Pavla transforms over time, into a tall woman and then into a wolf. She is tortured, becomes a slave, then a carnival attraction, and then escapes and is hunted. This is Silver's fourth novel, and it follows Mary Coin, her wonderful - and very different -- work of realistic fiction inspired by Dorothea Lange's "Migrant Mother" photograph. Little Nothing has a dreamy, timeless quality, and Silver brings to it the finesse and poetry that distinguished her previous short story collections. 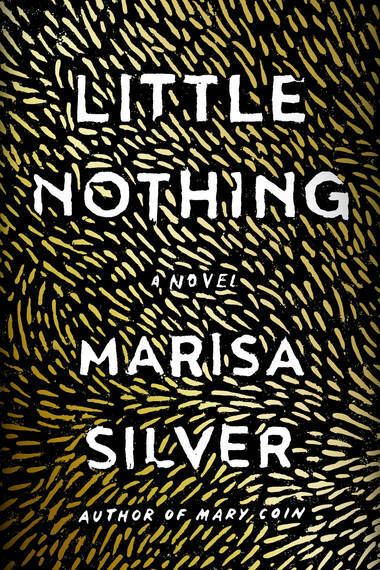 Marisa Silver discussed Little Nothing with The National Book Review. Q: Although you don't locate Little Nothing in a particular place, it feels like someplace in Eastern Europe. Was that your intention, or just the impression of this reader? A: It was very much my intention to set it somewhere in Eastern Europe, but it was also my goal to not locate it specifically in terms of place or time. Like fables, which all seem to exist in some pre-industrial, yet unspecified past, and mostly in agrarian settings, Little Nothing came most alive when it lived in this amorphous place and time. While I was working on the novel, I occasionally wondered if I ought to set it more firmly in a recognizable world, to pick a village, or a country. I wondered if the war in the novel ought to be a particular war so that the story was set more firmly in political history. But when I went down that road, the book lost something that was its essence: its playfulness, its metaphorical quality, its ability to fluidly travel between the real and the uncanny. The book lost a bit the fleet-footedness that it needed in order to take the reader on a journey beyond expectation. The old stories begin "Once upon a time" for a reason. They ride like boats above the currents of historical fact so that they can exist anywhere and always. Q: Did you read fairy tales? A: Somewhat. I remember reading the very beautifully illustrated The Golden Book of Fairy Tales, the cover of which featured a huge head of a young girl as she peers dreamily at a tiny elf and some small woodland animals having a tea party. It was as if she had lifted a leaf off the forest floor and discovered this magic taking place. But I would not say that fairy tales were central to my world as a young child. I was not a particularly avid reader and I spent most of my time daydreaming, much to the consternation of my father, who would catch me at it and advise me, rather sternly, to read a book. Reading books was de rigueur in my house. Sometimes I would hold open a book and pretend to read, but what I was really doing was inventing some lovely scenario in my mind. I liked that I could move along a narrative trajectory and, if I did not like the way things were turning out, I could just back up, start again, and imagine more satisfying episodes and outcomes. A lot like writing. I guess you could say that I daydreamed my way to becoming a writer. Q: What was it like to live in this fantastic and wild world as you wrote the novel? A: It was a bit unnerving! As someone who had written books and stories firmly set in reality, it was, at first, a challenge to cross back and forth from the surreal to the real. But once I understood the rules of my novel and how these uncanny events would integrate with an otherwise real world, I became more confident. And, truthfully, once I was fully in control of how the worlds interrelated, I stopped thinking of the "wildness" as being wild. In other words, I treated the fantastic just as I would treat the real. I made certain that the events were undergirded by emotional truth so that no matter what form Pavla took, or what astonishing thing was happening to her, the underlying emotions were as recognizable as they would be in a story more firmly rooted in realism. Q: When you were writing Little Nothing, what did you read, watch and listen to? A: I did read some fables, especially those out of Eastern Europe, because I wanted to use some of these stories very explicitly. Certain characters tell one another stories not because the stories are necessarily related to the events in the novel, but because the book is a lot about the act of storytelling and why it is so important to us. By the end, a story is told that is, in effect, the novel we've just read. So the book works circularly, that way. I also read a fair amount of Eastern European fiction - Kafka, Agota Kristof, and others, mostly to get a flavor for a certain quality of allegory that many of those novels, especially ones written in the 20th Century, have. I also read books about freak shows and early mental institutions and civic water works and plumbing! The book has a lot to do with plumbing, with digging, with tunnels. Pavla's first transformation is her birth during which she comes out of a tunnel, as we all do. She continues to find herself in a state of emergence throughout the book, and tunnels play a large part. And of course I read about wolves and watched films about wolf behavior and even spent some time at a wolf sanctuary. Writing the part of the book that takes place in the mind of a wolf was one of the most challenging and exhilarating. Q: There's a musicality to the language of Little Nothing. Was there a soundtrack as you were writing? A: I don't listen to music when I write, but I love that you talk about the musicality of the language because I definitely felt, as I wrote, that the narrative had a kind of rhythm and bounce to it. I felt, in some ways, as if it could be a story that someone was relating orally, and that it would be filled with the music of speaking and the energy of someone trying to keep her listeners involved, someone trying to convey the drama and pathos through the vocal telling. I also felt that, as the book is so much about the body, that the language had to be very earthy and rich, almost baroque in its abundance. Q: Now that the novel is out in the world, you have time for dinner parties. Your ideal invitation list? I'd like to have a dinner party filled with liars. Liars are great storytellers. And it is endlessly fascinating to try to figure out how a liar sees himself in terms of his own fabrications. Does he believe them? Does he not? So, some invitees: Herodotus, Kim Philby, Benedict Arnold, Anna Anderson who went to her grave claiming she was the Grand Duchess Anastasia of Russia, daughter of Czar Nicholas and Alexandra. Q: This cover is crazy-brilliant. When you were working Little Nothing did you ever think wonder what the cover would be? A: It is so beautiful, isn't it? I had no idea what the cover should look like. I felt only that it shouldn't be overt, that it shouldn't feature a girl, or a wolf, say. I felt that the cover had to suggest without being explicit. The brilliant art department at Blue Rider, the publisher, came up with this idea very quickly. It was the first cover I saw and we all knew, immediately, that it was the one. The fact that it has a handcrafted quality suggests something of the folktale, but the markings are open to interpretation. Like the book, the cover asks questions rather than delivers answers. I love that. Q: And how did you decide on a title? A: All credit goes to my agent for the title. I had the phrase "little nothing" in the book - this is what the children at school call Pavla. But it was my agent who saw that this phrase had wider implications for the entire novel. Q: Does Little Nothing feel particularly resonant to you in this election season? A: Ha! More and more. One of the things the book is about is how women's bodies are hunted, suppressed, even violated, how this seems to be a condition of being female in ways both large and small. I think of Afghan women who are stoned for having committed adultery. I think of the ongoing abortion wars in this country. And now we have a candidate who tosses off heinous behavior towards women as so much "locker room banter." Well, locker room banter of this kind is the outgrowth of a culture that sees women as objects and thinks that abuse and humiliation are somehow acceptable. Little Nothing is about a woman who is continually pursued simply for inhabiting the body she does. Her survival is predicated on her transformations. One of the things I like to write about is how and why people endure even the most difficult hardships. Little Nothing can be read many ways, but it is certainly a story about endurance and transcendence.